The Federal Government has put a number of measures in place to tackle the menace of drug abuse in the country. 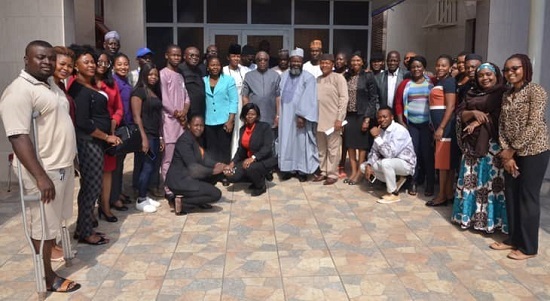 This was disclosed by the Secretary to the Government of the Federation (SGF), Boss Mustapha, while declaring open a three-day annual workshop of the Civil Society Network on Substance and Drug Abuse in Abuja. Represented by the Permanent Secretary, General Services Office (GSO), Mr. Olusegun Adekunle, said that the scourge by drug and substance abuse in the country has posed a serious challenge to the primary healthcare facilities and its associated negative impact on national welfare and security. The SGF noted that the scourge has assumed a global dimension such that every responsible Government will take appropriate action to root it out of its territory. Mustapha bemoans the plague which affects all segments of the society, but noted that the worrisome aspect of the menace is that the youths, who are the future of the nation, are the worse hit. He called for a holistic approach that would benefit the society and also for posterity and survival of the country. For becoming victims of the scourge, he noted that some Nigerian youths are now being incarcerated while some are on death row in several countries across the world either as traffickers or as users of these illicit substances. According to the SGF, in recognition of the negative effects of the drug and substance abuse, President Muhammadu Buhari, constituted a two-tier Presidential Intervention Structure on the Elimination of Drug Abuse comprised of an Inter-Ministerial Committee on the Elimination of Drug Abuse chaired by the SGF and the Presidential Advisory Committee on the Elimination of Drug Abuse chaired by Brig. Gen (rtd.) Mohammed Buba Marwa. He promised that the government will continue to strengthen the nation’s drug law enforcement capacities and capabilities, and give attention to preventive measures, while taking cognizance of the health care needs of those that have become dependent on illicit drugs. The government expresses gratitude to Civil Society Organisations (CSOs) for their collaboration to tackle the scourge.